RMW architecture & interiors, is an innovative, award-winning architecture and interior design firm, with a collaborative culture. Our mission is to design engaging workplaces for great companies. We are currently experiencing exciting growth and seek a full-time Accounting Clerk to play a strong role in our Orangevale office. Responsible for coding and data entry of AP Invoices and in-house expenses; pulling back-up as needed for client invoices; AP Invoice filing, insurance certificates, W-9 tracking, consultant invoice processing and statement reconciliation, electronic project filing, apply AR payments, times-heet payroll audit, client billing and tracking project costs. Cost coding of AP for multiple projects and enter invoices and in-house expenses into accounting system. Track missing time-sheets prior to payroll. Initialize new projects in the accounting system and sets up billing rate schedule. Process client billing and track project costs. Process Consultant Invoices and enter into accounting system. Copy project expenses for client invoice back-up. Maintains the filing of AP Invoices, checks and Project Info. Enter cash receipts into accounting system. Assist with annual archiving and new file creation. High School Diploma and 2 College level accounting classes or college degree in Business. Minimum of 2 years accounting/finance experience and/or Business Degree. Computer and software skills (MS Word, Excel, Outlook, Deltek (Ajera). Highly effective interpersonal skills and excellent written and oral communication skills. For consideration, please email your resume to hr@rmw.com referencing the position title on the email subject line. No phone calls, please. 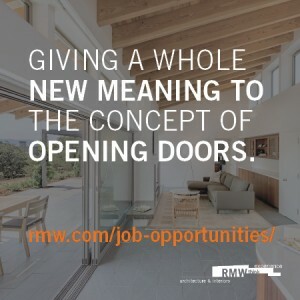 RMW architecture & interiors is an Equal Opportunity/Affirmative Action Employer.